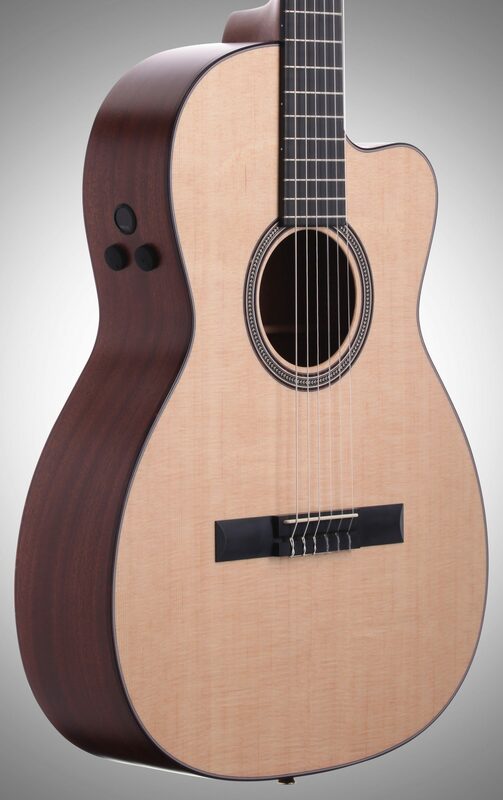 The Martin 000C classical acoustic-electric delivers the very best in Martin craftsmanship in a nylon-string guitar, complete with a Fishman F1 Analog electronic system to project its smooth, bright tone with the clarity it deserves. Masterfully crafted by the luthiers at Martin, the 000C provides a one-of-a-kind playing experience. 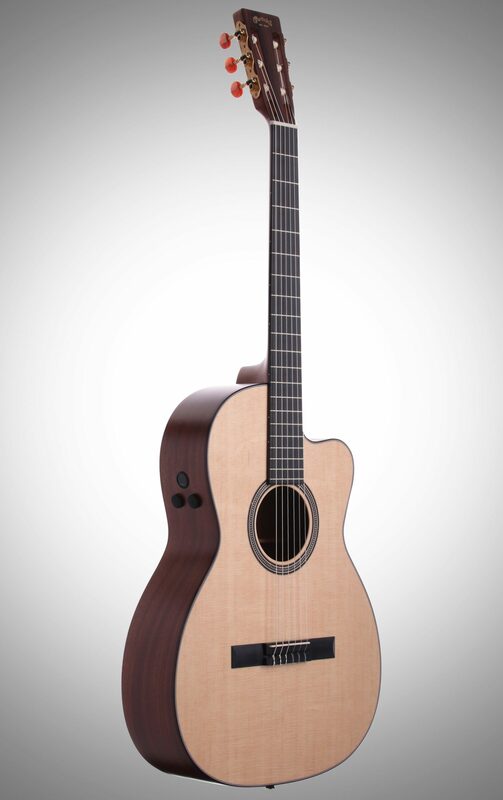 In response to the many Martin players who chose the limited-edition 000CDG, built in memory of Chris Martin's late brother, Doug Greth, Martin has expanded upon this unique "crossover" instrument with the 000C Nylon. It is truly a hybrid instrument, combining features of a traditional Martin steel-string guitar with those associated with a classical nylon-string guitar. The top is crafted of solid Sitka spruce and braced with a unique A-Frame "X" brace system. 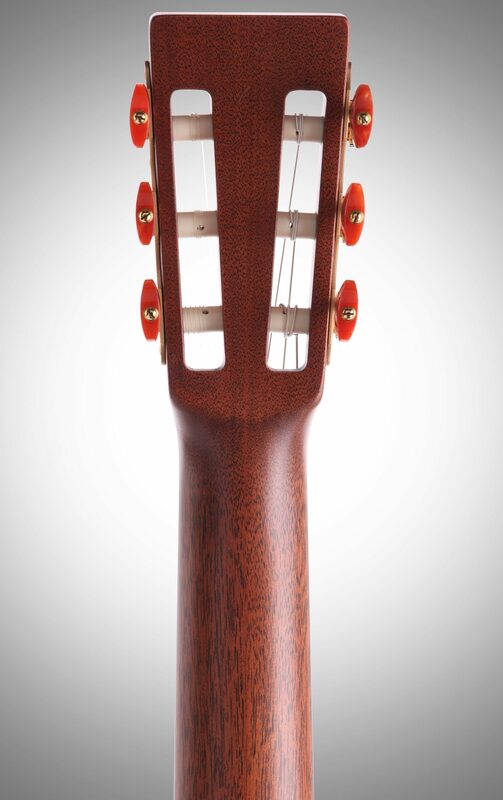 Yet this bracing system is equally responsive to lighter nylon strings, without inhibiting tone or volume. The 12-fret, low profile neck features an 18 inch radius arched (versus flat) fingerboard like a steel string, but with a classic width, 1-7/8 inches at the nut and 2-5/16 inches at the 12th fret. The bridge is in the classic style with tie block and drop in saddle. Bridge string spacing is a wider 2-5/16 inches as well. 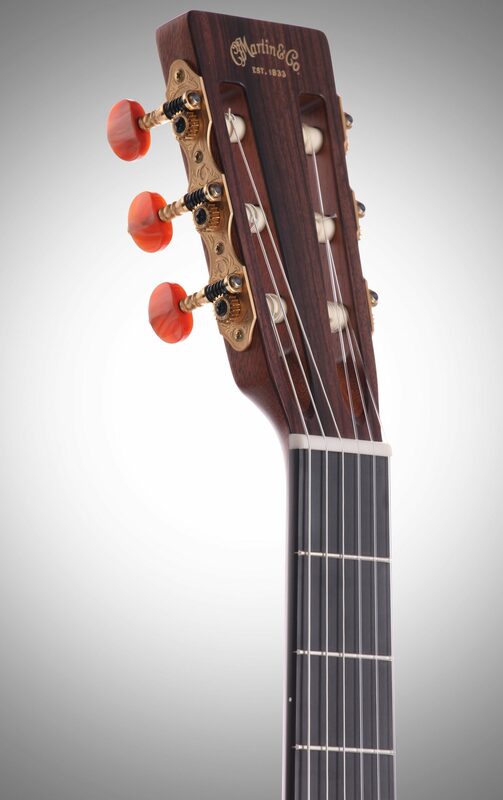 Even the 000C's headstock is unique: square tapered like the traditional Martin steel string style, but slotted to accommodate classical nylon strings. Each guitar is fitted with onboard Fishman F1 Analog electronics, too. The result? A versatile, great sounding and playing guitar, no matter whether you play acoustic or acoustic electric... or both. - Scale Length: 26.44 in. - Fingerboard Width at Nut: 1-7/8 in. - Fingerboard Width at 12th Fret: 2-5/16 in. - Bridge String Spacing: 2-5/16 in. Overall: This 000C Nylon is all I expected it would be. For 18 years I have owned and played a variety of Martin's including: a 1996 HD-28, a 2000 HD-28V, a 2007 DXME and my crown jewel a 1939 D-18 of which I am but the second owner. 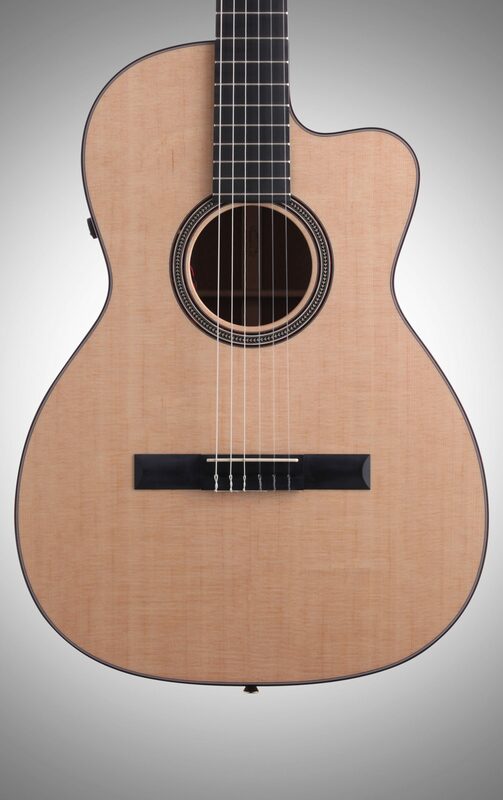 So I've become accustomed to Martin's excellence and this 000C Nylon is no exception and zZounds' service, prices and the quality of information from their representatives is equal to what one would expect the Martin Co. to demand of a dealer. 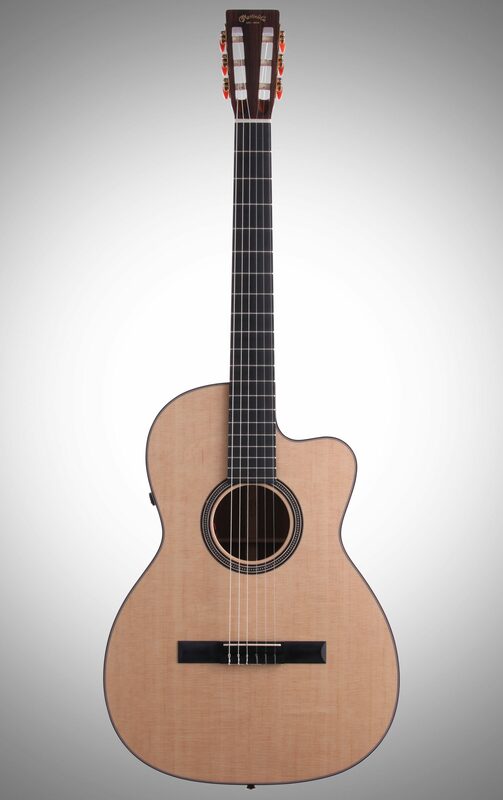 Overall: I've bought and sold several nice classical guitars over the years (average cost about $2000 each), cedar and spruce tops, solid rosewood. This one is at the front of the pack. Arrived ready to play, good set up. The tone is clear and well-balanced, without a dull spot or any buzz on the fretboard. Good projection. 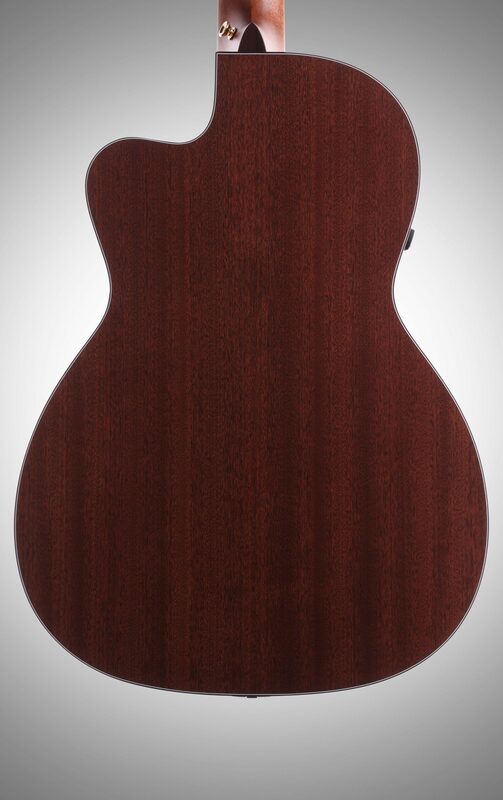 I really appreciate the slightly thinner neck, since I'm not primarily a classical guitarist although I do play fingerstyle and classical pieces. It's a great cross-over for me. I bought the "blemished" model at a reduced price, but it's basically new, not a problem that I can see. It's a terrific instrument. I read the negative review on this site about this guitar, and it sounds like nonsense. This is my second Martin guitar and they've both been superior quality. I would not hesitate to recommend this model.